The Kenya Netball Federation (KNF) stakeholders are demanding for the national office to convene the association’s Annual General Meeting (AGM). They accused the national office of not convening the meeting for the last four years and wanted it held on schedule in February. “The national office is dragging its feet by intending to prolong their stay in office through the backdoor by not convening this year’s AGM which is supposed to be elective,” they said. 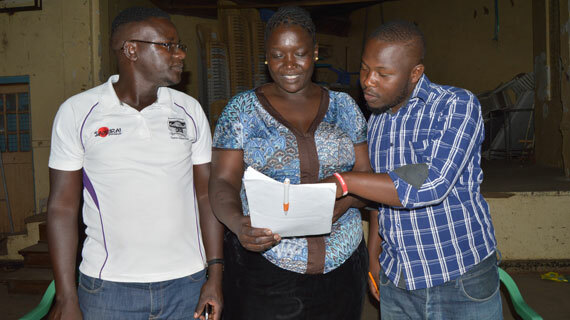 The KNF fixtures secretary Millicent Busolo, Ganec coach Joseph Makau and umpire Samuel Asilikwa led nine branches drawn from Meru, Kakamega, Nyeri, Nairobi, Nyandarua, Busia, Makueni, Homabay, and Kiambu at Nairobi’s Kaloleni Social Hall to chart the way forward for the sport which they claimed has declined owing to poor leadership. “According to the federation’s calendar of events, it has indicated that the elections will be held in October and yet our calendar year starts and ends in February,” they said. They cited withdrawal of teams, lack of sponsorship and failure to affiliate with the regional, continental and international netball bodies which has condemned Kenya’s to not being recognized. ‘We want fresh elections so that we can vote in committed officials who will take our sport to another level. Our standards have declined where teams like Uganda which we used to beat are now ranked above us,” they said. Lillian Anupi attributed the dismal decline of the game owing to sponsors who pulled out their teams owing to financial constraints. She urged members to remain calm and be patient as they prepare for the exercise that will chart the way forward for the coming season. “Nobody should blame Kenya Netball Federation for the woes facing the game. Teams like MoIC, Agricultural Finance Corporation (AFC), Kenya Commercial Bank (KCB), Posts & Telecomunication and among other state owned withdrew sponsorship In that case, will you blame our Netball Association or the team sponsor’s ?” she posed.